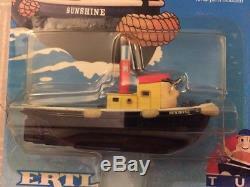 ERTL "TUGS" - Thomas The Tank Engine No. 1504 - SUNSHINE - Boxed, Very RARE. Some scuffs and scratches to packaging and previous label marks. 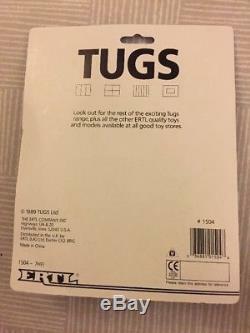 From the short-lived TV programme Tugs. 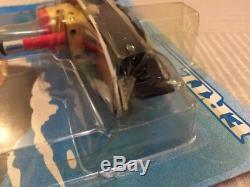 Toy itself is in mint condition, still sealed in blister packaging. 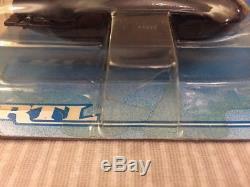 Cardboard backing has marks from storage and there are two holes in the plastic front - see photos. Please see photos for your own assessment of condition - further photos and details can be supplied on request. From smoke and pet free home. Any questions please let me know. 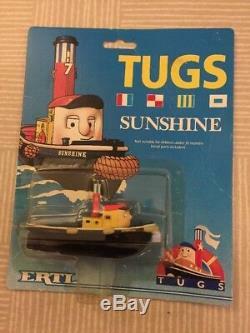 The item "ERTL TUGS SUNSHINE Thomas The Tank Engine No. 1504 BNIB Very RARE LOT 4" is in sale since Friday, February 1, 2019. This item is in the category "Toys & Games\TV & Movie Character Toys". The seller is "chrisholl2012" and is located in Rotherham, South Yorkshire.